Up, down and around - driving adventures abound! Let's wind the car up the elevator and then see it zoom down the ramps. 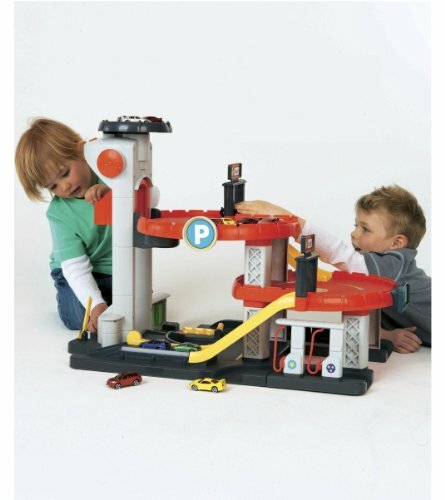 We can use the gas pump and car wash and drive our cars all around the garage. Where is that car going - a getaway chase perhaps? And will we need the helipad for an emergancy landing? Fun set includes 1 garage with two floors and a helipad, 1 working elevator, 1 car wash and 1 gas pump. No cars included.